Thank you all for entering. I do appreciate your time. I used to love cooking. So much so that I thought I'd be a chef someday. However now that I'm a mom and wife and cooking is a must, I find that I don't really delight in the making of the meals all the time as I used to, so I love when the meal preparations can be quick and ends up being healthy and delicious at the same time. I'm no Martha, but Betty Crocker is a very nice help to make me close to this likeness. Ok I exaggerate a little :) Betty Crocker is just great all around and I'm glad to have their products to delight my family's taste buds. I'm a leftover gal and so side dishes are important to my weekly meal planning. I was introduced to the Betty Crocker´s® Boxed Instant Mashed Potatoes, to go along with our salad and leftovers and I have to say it was a hit, especially when you add chicken gravy! YUM! 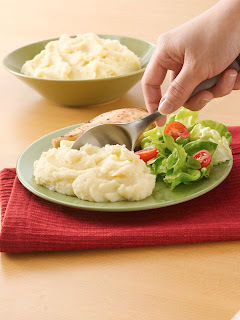 It is quick and easy to prepare and made with real potatoes. In less than 10 minutes, it's ready to go, so you know weeknight dinners just got a whole lot easier! We had the choice between Homestyle Creamy Butter and Roasted Garlic and our fave was the Homestlye Creamy Butter. The taste just melts in your mouth and when you add gravy, it's about heaven. 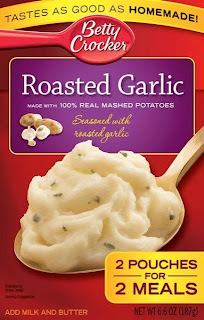 Dh like the roasted garlic better and wants to try the Au Gratin flavor variety too! I happen to love the serving bowl too. Perfect for making my salads. You get to try these too! Which busy night of the week would you need some quick Betty Crocker help with side dishes? This was not a paid post and these opinions are solely my own and may vary from others. 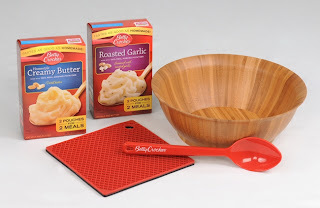 I received the Betty Crocker prize pack from Betty Crocker through MyBlogSpark. See my disclosure. I would love to win this!! I am a follower. Monday night is my need it night. 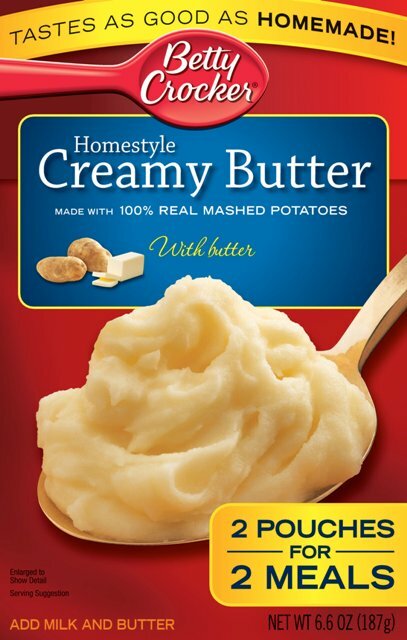 I could Betty Crocker help with side dishes on my busy Fridays. I need them on wednesdays! Oooh yummy! Monday nights are pretty busy for me, so these would be nice to have. 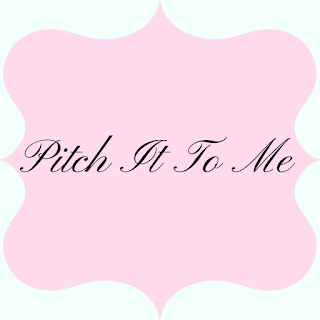 I'm brand new to your blog by the way, absolutely LOVE it! Now following you for sure!!! EVERY night of the week is busy here..but probably Wednesday is our busiest! Wednesdays. Church cuts into my cooking time! Tuesdays are always hectic running errands so I try to plan on an easy fixins night on Tuesday. Betty Crocker could help me on my busy Monday nights. I tweeted about this giveaway on Twitter. It would be a big help on Wednesday nights because we have so much going on and I never have the time to make a delicious meal. Tuesdays are a busy night in our home and this would be a great help! Tuesdays and Thursdays are usually the days where I just don't hit my stride and am scrambling for dinner by the end of the day. I need some quick help on Tuesday nights. I like Betty Crocker on facebook #1. I like Betty Crocker on facebook #2. I follow JamericanSpice on Networkblogs #1. 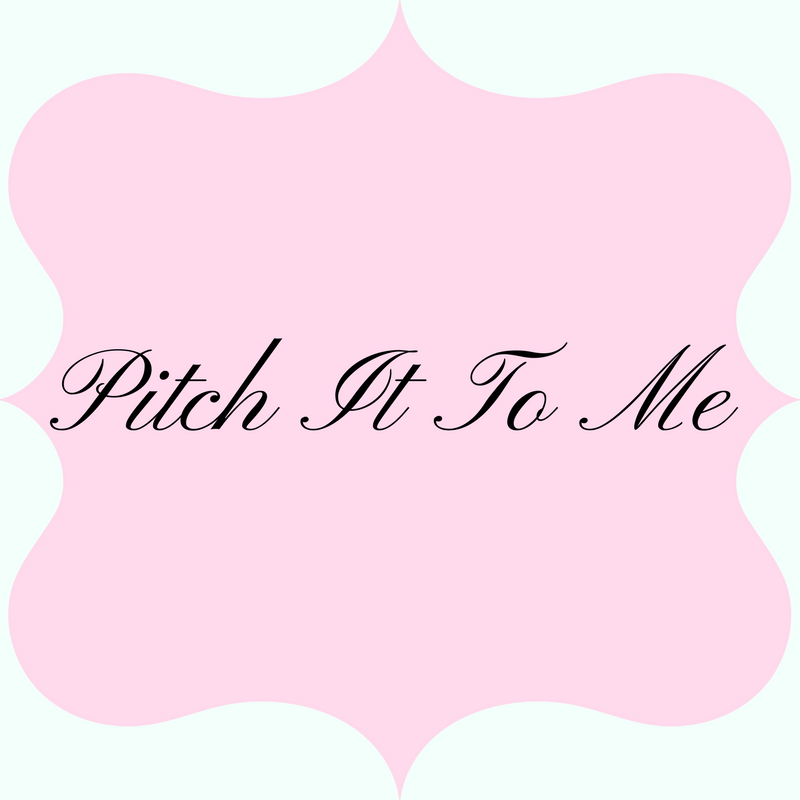 I follow JamericanSpice on Networkblogs #2.
tuesday nights are always my busiest, this would be great! Monday nights are our busiest, so we definitely need easy meals then! Fridays are the day I need help with, mainly because by friday I'm all worn out and will take any short cut! Monday nights are always the most hectic for our family. 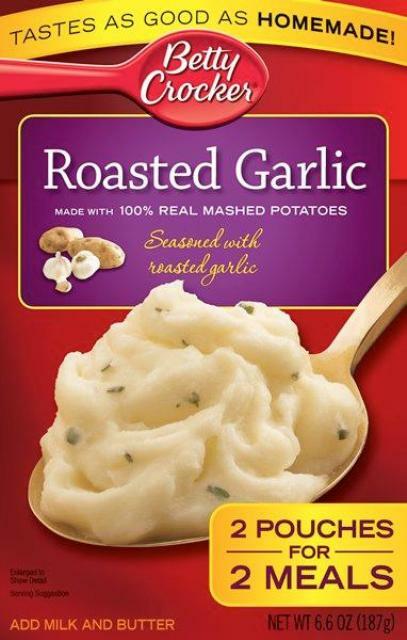 Some help with sides would be great on Mondays. Already liked Betty Crocker on facebook. My busiest night would be Tuesday. I need this on Thursday's.I watch gray's anatomy with a friend so I want to be in and out of the kitchen as quickly as possible.Thanks! I seriously could use this any night Monday through Friday in my house as they are all super busy with 3 active kids. I could use Betty Crocker's help on my busy Mondays. Thank you for the lovely giveaway. Thursdays are our craziest nights. I think Wednesdays are our busiest nights, so this would be great then.